Be a Hero is a very casual game with elements of unique mechanic and very easy- to- learn concept. Various bonuses levels, colorful graphics and smooth gameplay make it addictive, strategic and challenging fun for everyone, it’s a great way to kill time! Match two or more blocks of the same color to clear. Complete the target and get more scores. The more blocks you pop, the more scores you will get. 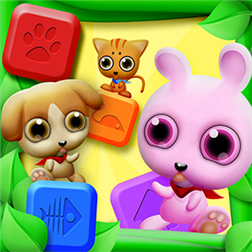 If you like Pet Rescue, Candy Crush,PopStar, Roundy POP, Jewel Mania or other elimination or puzzle games, you shouldn't miss this game ! Come on! Let's pop the blocks and challenge the levels.